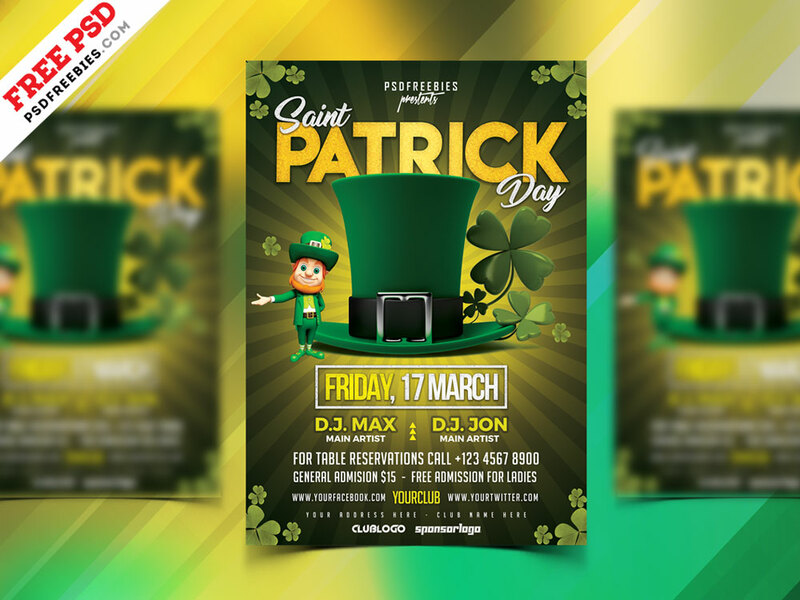 Download Saint Patrick’s Day Flyer Design Free PSD. This Saint Patrick’s Day Flyer Design Free PSD is great design to celebrate st patrick’s day or any Irish festival events. It’s a great flyer for restaurants, pubs, bars, autumn parties, drinking contest and even for drinks menu covers. This Saint Patrick’s Day Flyer Design Free PSD is well organized and structured, Images, texts and colors are fully editable. This Saint Patrick’s Day Flyer Design Free PSD download contains a A4 size, 300 dpi, print-ready, CMYK PSD file. The Saint Patrick’s Day Flyer Design PSD is available for Free Download.